Glamping Finca Margaritas is a 3* hotel located in Pluma Hidalgo, Mexico. It features 20 rooms and swimming pools. Glamping Finca Margaritas offers plenty of tranquility in the middle of the jungle. Surrounded by the afternoon mist, you will spend an unforgettable experience during your visit to Pluma Hidalgo, in the Huatulco area. 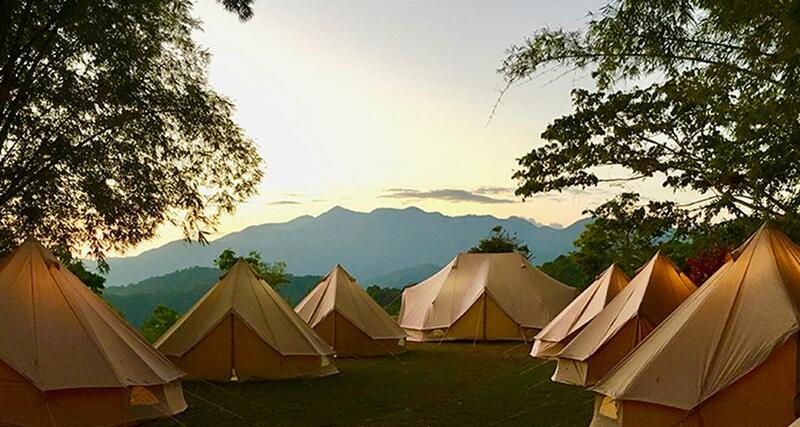 This property is an excellent choice to get away from the hustle and bustle of the big cities and enjoy a restful night in a new style of accommodations that consist of beautiful, well appointed and comfortable tents. The property has a restaurant that serves exquisite dishes, a swimming pool and a traditional temascal bath. Discover the heart of the forest of Pluma Hidalgo and enjoy an stay accompanied by the moonlight.